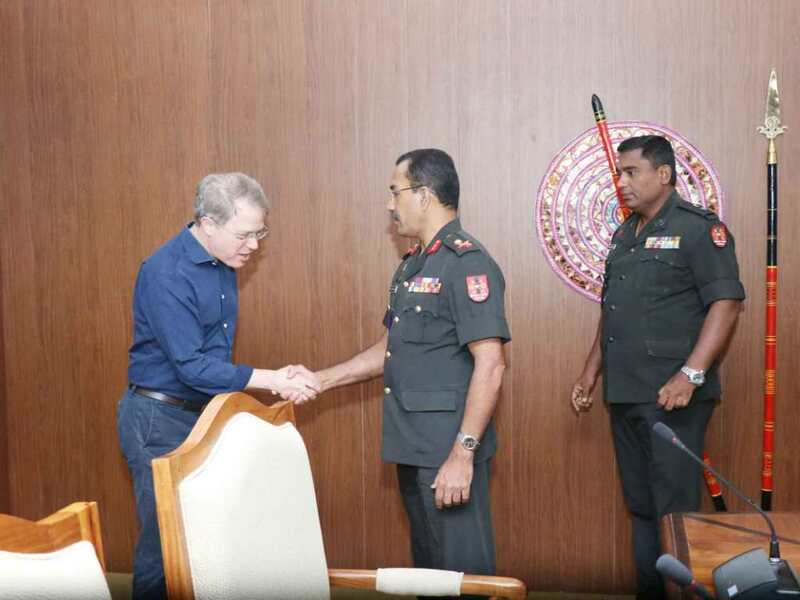 The Sri Lankan military held a meeting with the International Crisis Group (ICG) Sri Lanka desk representative Alan Keenan at its occupying military base in Palaly last week. 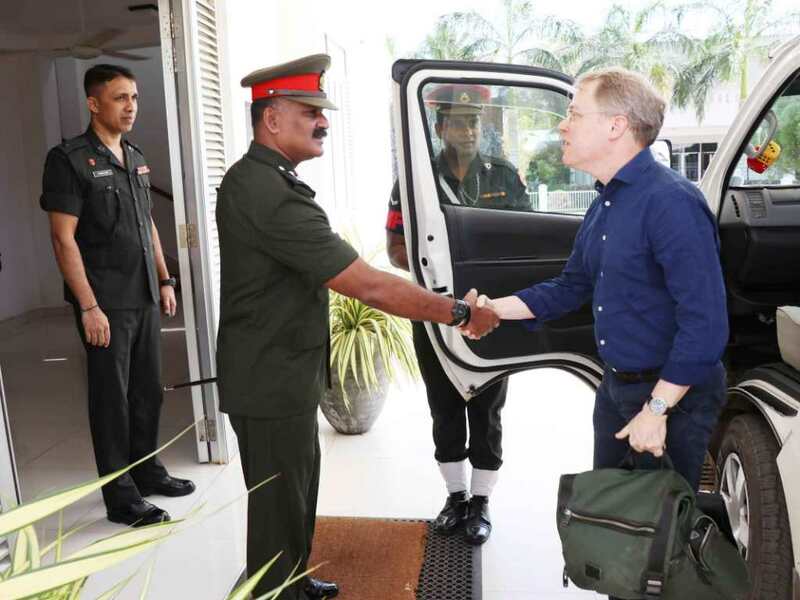 According to an official military website, Keenan “discussed the matters pertaining to the Civil-Military Coordination and Reconciliation Process within the Jaffna Peninsula”. 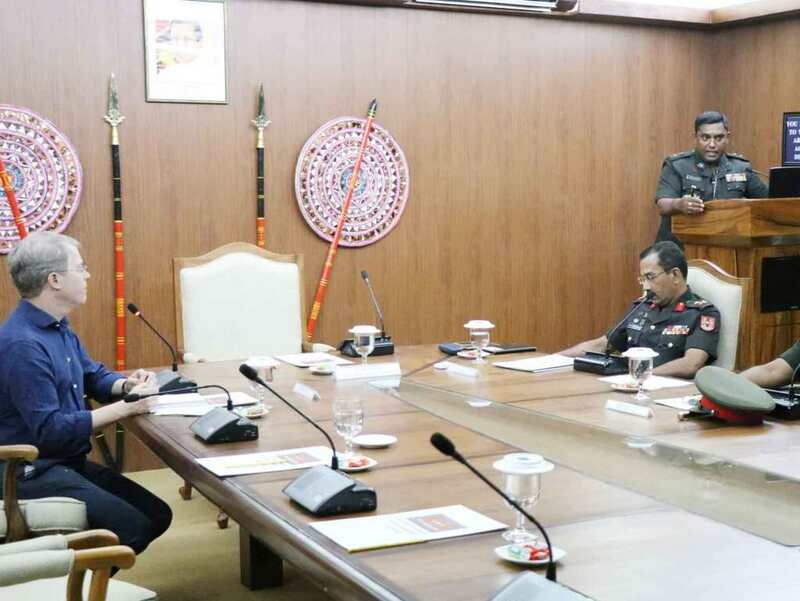 “The General Officer Commanding 51 Division, Major General Roshan Senevirathne provided a comprehensive briefing on the present state of the social welfare and development projects carried out by the Sri Lanka Army in Northern Province,” the military added. Palaly in Jaffna is currently occupied by Sri Lankan military forces who have the area, vast sections of which are occupied civilian land, as a High Security Zone within which they operate an air base and headquarters. Earlier last week, Keenan also met with families of the disappeared in Mullaitivu.